Mario Lopez Accepts the ALS Ice Bucket Challenge… and Guess Who He Nominated? 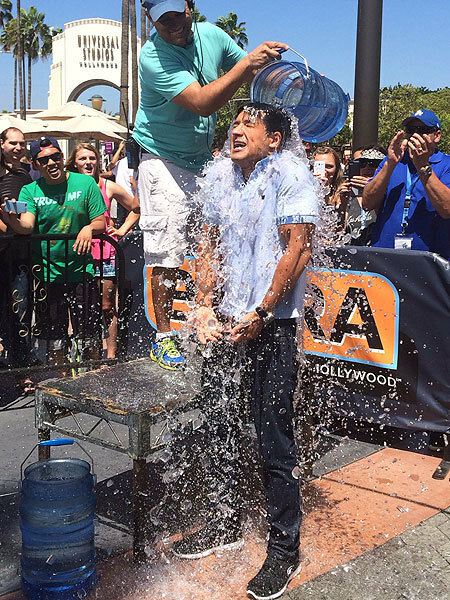 “Extra” host Mario Lopez accepted the ALS ice bucket challenge for a very special reason, after being nominated by his good friend Rick Seara, whose mother is battling ALS. After having a bucket of freezing cold ice water poured on him, Mario nominated his friend, actor Joe Manganiello. Tune-in to “Extra” tonight to find out if Joe accepted, and check out the full video below! For more information about the #IceBucketChallenge phenomenon that's spreading ALS Awareness across social media, visit ALSA.org.